The tarp industry (tarpaulin industry) has always been a significant segment of our business at Tennessee Webbing Products. A large percentage of the products we sell end up as part of truck tarps, land fill covers, and similar products. Our experience in dealing with the tarp industry over the years has given us an understanding of what you need. We know the two most important aspects of serving you are price and availability. Our goal is two-fold. First we add dollars to your bottom line by providing the best pricing in the industry on the webbing and components you need. Secondly, we know when you need materials you need them fast. We maintain a huge inventory which allows us to ship almost any size order within one business day. We stock all weights and sizes of polypropylene webbing that pertain to the tarp industry, including Slit Film Polypropylene which is specifically designed for tarps and covers. We also stock other webbing products specific to the tarp industry, including weldable webbing and reflective polypropylene. 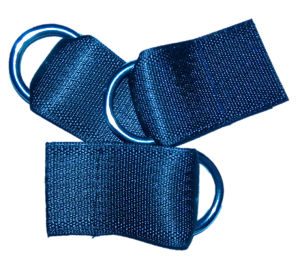 We maintain the largest inventory of polyester seatbelt webbing in North America. We also stock various sizes of D-rings, and D-ring assemblies. We have the products you need ready to ship at the best prices you can possibly find. We depend on your industry and we want you to depend on us.